One British lady who will be sitting down for a scrumptious slice or two of turkey this Christmas day is Shelina Janmohamed. However, the leading London thinker’s festive fare will be of the halal variety. “I’ll have to get my order in early this year,” she tells Arabian Business. Like a growing legion of British Muslims, Janmohamed won’t be celebrating Christmas but she will enjoy her time off on December 25th with a hearty meal and loved ones. UK supermarket Tesco featured Muslims in its festive adverts for the first time last year, but while the attempt at diverse representation was applauded, consumers were disappointed by the fact that supermarket wasn’t actually selling halal turkeys despite its ‘inclusive’ ad. As vice president of leading ad agency Ogilvy Noor – the first Muslim branding firm in the UK – this is a subject close to Janmohamed’s heart. She has put her life’s work so far into rallying for true understanding of Muslim consumers – and with much success. She says: “This is the point around understanding what the Muslim lifestyle actually is. Everybody is off for Christmas; everything’s closed so people get together. Janmohamed says that there are ‘assumptions’ about how Muslims behave and what they are seeking. 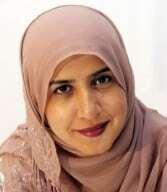 She cites Ogilvy Noor’s most recent report, ‘The Great British Ramadan,’ which found that the most popular Iftar meal in the UK this year was chicken and chips. She also raises the point that British gyms in areas with a higher population of Muslims are finally altering their opening times in order to accommodate for the daily fasting cycle. So how can brands do that? “The basics of it are you have to treat your Muslim consumer as you would any other audience. You have to really sit down and get to know them and their lives. Janmohamed says she has been trying to ‘demystify’ those challenges for a number of years. “It’s a mystery why when you present industry audiences with the idea of talking to Muslim consumers as real humans, there is a real awakening that happens in the room and it’s hard to know why. Janmohamed’s most recent book, Generation M: Young Muslims Changing the World, looks at what it means to be young and Muslim today. The tome is an exploration of rising group of global Muslims who believe that ‘faith and modernity go hand in hand’. ‘Generation M’ is a popular term that was first coined by Janmohamed and has since become mainstream lexicon among marketers and global media. Muslims in Britain contribute $40 billion to the economy every year, and they have spending power overall of $27 billion, according to Ogilvy Noor. Globally, Muslims spent a staggering $2.1 trillion across the food, beverage and lifestyle sectors in 2017, according to the State of the Global Islamic Economy Report 2018-19. The Ogilvy Noor VP says she sees enormous untapped opportunities for the Muslim lifestyle sector, particularly in the areas of Islamic finance, media and tourism. Janmohamed says: “There are a number of problems with Islamic finance. The main one is that no one really understands what it is or why it’s Islamic and there’s a lot of scepticism. “The industry hasn’t done well to explain what it stands for and to make it accessible, engaging and responsive using all the technologies we have to hand to what Muslim consumers are seeking. While Janmohamed has been championing the Muslim economy since 2010, she admits it’s still very much a ‘work in progress’. “I’m optimistic that we’ve moved forward and it feels like the marketplace has a better grasp of what’s going on. We’ve started to see some interesting communications and products in the marketplace and at least an acceptance that there is a commercial and a brand opportunity. « Are you aware of the UN 2030 Agenda for Sustainable Development?